From fiscal year 2013 to 2015, inpatient drug spending increased by an average of 23.4% per year, and by 38.7% on a per-admission basis, according to a 2016 report from the American Hospital Association (AHA). According to the AHA, that massive increase came largely from per-unit price hikes that seemed inconsistent and unpredictable. This approximate time span was when Intermountain Healthcare senior vice president and chief strategy officer Dan Liljenquist began brainstorming on a way that hospitals themselves could solve this growing problem. Given that the AHA’s survey of community hospitals found that more than 90% of responding hospitals were facing moderate to severe effects on their ability to manage the cost of patient care due to these inpatient drug price increases, it’s no surprise that Intermountain soon had support from other healthcare systems in launching a unique solution. September 6, 2018 marked the formal launch of Civica Rx, a Salt Lake City–based not-for-profit generic drug company created to improve patient care by addressing shortages and high prices of medications. With its launch, the organization is focusing on manufacturing or subcontracting the manufacture of 14 FDA-approved, hospital-administered generic drugs. Initial governing members include Intermountain Healthcare, which has led this effort, along with Catholic Health Initiatives, HCA Healthcare, Mayo Clinic, Providence St. Joseph Health, SSM Health, and Trinity Health. The U.S. Department of Veterans Affairs will also work in consultation with Civica Rx to address its specific needs. The initial goal of Civica Rx is to create a stable supply of generic medications that have fallen into chronic shortage situations. The organization also is aiming to lower costs and develop more predictable supplies, saving patients and healthcare systems hundreds of millions of dollars annually. In fact, the organization plans to offer a blanket, transparent price on each medication it produces for all members. The organization expects costs to vary somewhat based on market manipulation and network demand, but overall, Civica Rx predicts this model will allow it to achieve a total purchase price that is lower than the current cost of medications. “Moving towards transparency is clearly important and a core element of Civica Rx,” commented Daron Cowley, media relations director for Intermountain Healthcare. Civica Rx has announced its ambitious goal of introducing its first products to the market by 2019—to the excitement of many. Since the initiative was announced in January 2018, more than 120 health organizations representing about a third of the nation’s hospitals have contacted Civica Rx and expressed a commitment or interest in participating with the new company. The American Society of Health-System Pharmacists (ASHP) is among the organizations supporting the emergence of innovative market-based approaches aimed at addressing the profound problems associated with drug shortages and escalating drug prices. But like the healthcare systems that have not yet signed on with this new model, ASHP is waiting to see how Civica Rx addresses the challenges faced by any pharmaceutical manufacturer. These include complying with Current Good Manufacturing Practice requirements laid out by the FDA and ensuring quality during the entire manufacturing process—everything from sourcing raw materials and glass vials to storing and shipping products, notes Michael Ganio, PharmD, MS, BCPS, FASHP, director of pharmacy practice and quality with ASHP. Additional challenges include supply chain logistics and economic factors that will determine whether the company can manufacture and sell enough product to sustain its business model. 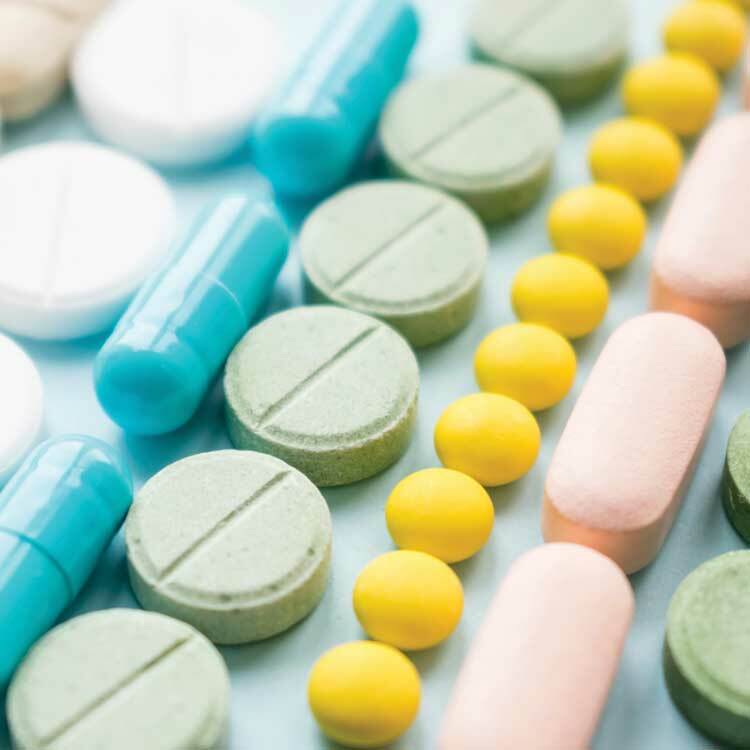 While Civica has not disclosed the names of the 14 drugs it will first develop, citing competitive concerns, it has noted that it aims to prevent drug shortages for its products through long-term contracts with multiple health system and manufacturing partners. This, it says, will allow Civica Rx to set the demand and ensure that it has dedicated manufacturing capacity for the drugs it requires. Elie M. Bahou, chief pharmacy officer of Providence St. Joseph Health, told the Washington Post that the initial focus will be on drugs that underwent price increases of 50% or more between 2014 and 2016, as well as certain essential medicines from national shortage lists. Member organizations determine manufacturing priorities to allow a focus on specific drugs that will make the most difference to patients. But Ganio points out that Civica Rx’s ability to help with drug shortages will also depend on how many institutions have access to the drugs it produces. “The new drug company is currently focused on the production of 14 generic drugs. Unless a shortage affects one of those 14 products, it’s unlikely the company will be able to get an Abbreviated New Drug Application approved for a new product and begin production within enough time to affect a shortage,” he adds. Civica Rx notes on its website that the entire undertaking is a first-of-its-kind “societal asset.” As part of its low-cost focus, the initiative is being led by Martin VanTrieste, former chief quality officer for pharmaceutical company Amgen, who has come out of retirement to step into an uncompensated CEO role. The group is organized to ensure that no single member will hold equity ownership or gain an economic edge through membership. And if Civica Rx succeeds in driving costs down, it may be a new start for instilling significantly greater value into every patient interaction. Megan Headley is a contributing writer to Patient Safety & Quality Healthcare.